April brings school holidays and the Easter break. Which means special activities at Phillip Island Nature Parks and the Easter Fun Festival at Churchill Island. Good reasons to visit Phillip Island! The weather is cooling down so taking to the water at Phillip Island’s beaches is losing some of its appeal. That doesn’t mean you can’t enjoy the beach though. I love to walk along the beach and look for treasures washed up from the sea. Apart from shells, there are many amazing things to find. I have found four different types of shark egg cases on the island’s beaches. Sea urchin shells can be cleaned up and made into lovely decorations for your home. 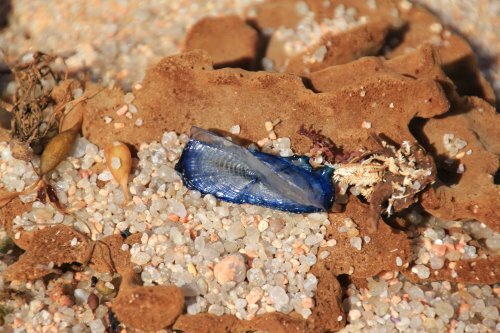 Once I was asked if there was sea glass on Phillip Island. My reply was that if I found glass on the beach I picked it up and threw it in the bin! 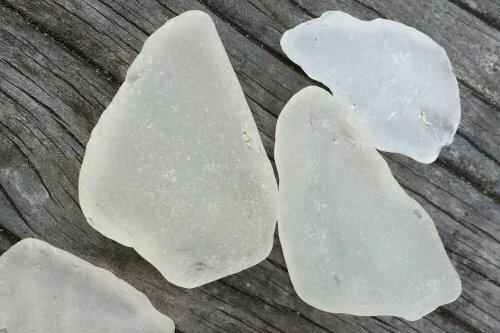 Unknown to me, sea glass is a very collectable item and much sought after. Usually it is made into jewellery. Needless to say, I now pick up and keep any sea glass I find! Recently I met a lady on the beach collecting small pieces of driftwood. She uses the pieces to make wall art. Up until then I hadn’t even noticed what she collected as a treasure. I have also met someone collecting surfboard fins! It seems there is something for everyone with a beachcomber mindset! If you do go beachcombing, avoid areas where the endangered hooded plover nests during the summer. The San Remo Co-op fish and chip shop has been an institution in San Remo since 1996. The co-op itself was formed in 1948. The location can’t be bettered, being a short distance from the San Remo Jetty that the local fishing fleet calls home. The shop sources its fish from this fleet and other local ports. The signature flake (gummy shark) is from the co-op’s own boats. 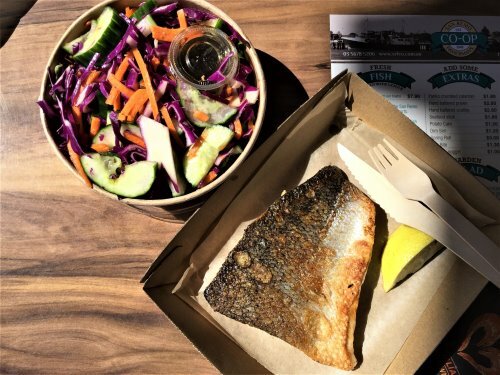 With the emphasis on seafood, the co-op also has burgers, salad, and extras such as potato cakes, dim sims and spring rolls. I have grilled Tasmanian salmon with garden salad which was plain but tasty. My husband has the grilled seafood pack which comprises flake, prawn, scallop, chips and salad. Lemon and tartare sauce are on the side. This is a very casual restaurant, with service friendly. We didn’t have to wait long for our meal although I imagine the waiting time could be longer in holidays and summer. A good idea would be to phone in your order first. There are great views over towards the jetty, from inside or from the outdoor tables. The San Remo Co-op also sell fresh and frozen fish if you want to take some home. If you are there around lunch time, watch the daily pelican feeding adjacent to the Co-op on the beach at noon. Do you know that the RSPCA estimates that there are more than 24 million pets in Australia? Almost the same as humans! Dogs are the most common pet, with 38% of households owning a dog. That translates to 4.8 million pet dogs in Australia. So it follows that there are many visitors to Phillip Island who would like to bring their pets. 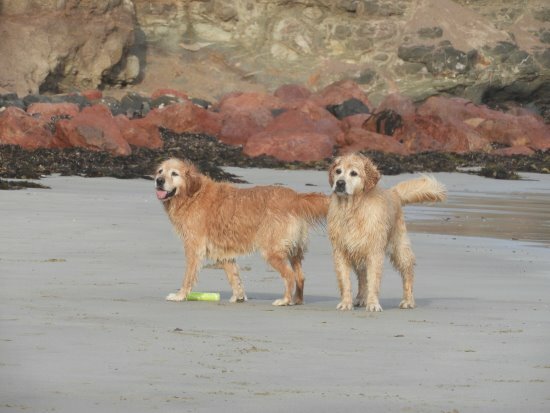 Read about pet friendly Phillip Island then throw Fido in the car and come visit!